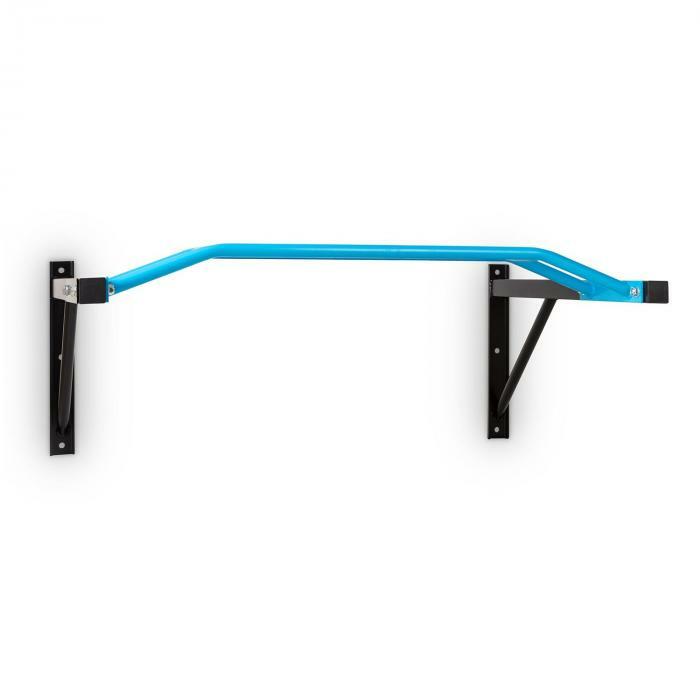 The Master Grip Multi-grip chin-up bar from Capital Sports . Pull-ups are one of the most effective ways of training most of the muscles in your body, but they are especially useful for training back, arm and shoulder muscles. 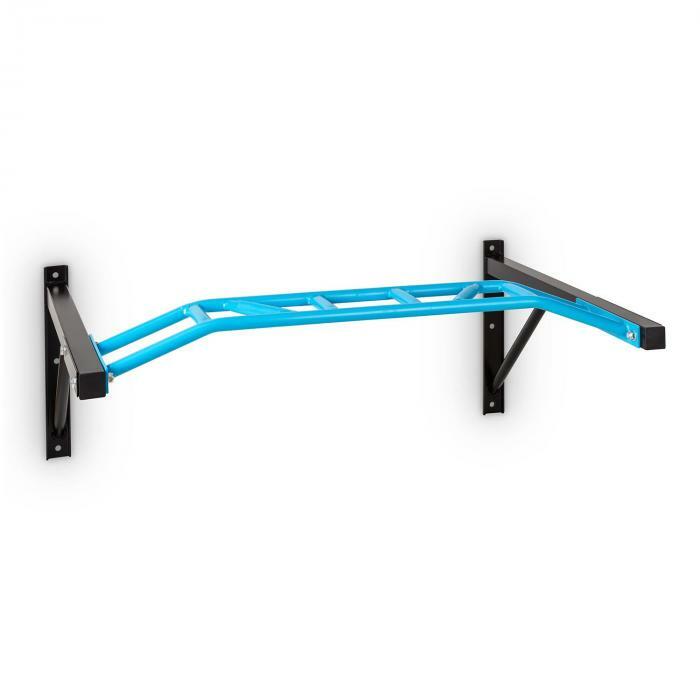 With a pull-up bar you are facilitated for a quick and easy workout in your own home. 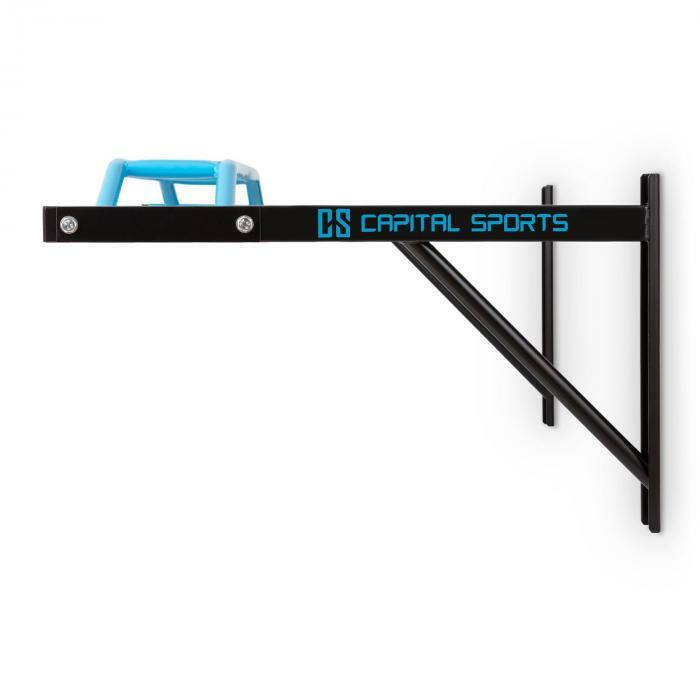 This extremely robust training device from Capital Sports consists of a solid steel construction, which is mounted on the wall. Two horizontal grab bars and several vertical and inclined connecting rods provide multiple gripping positions for a variety of chin up exercises and handle lengths. 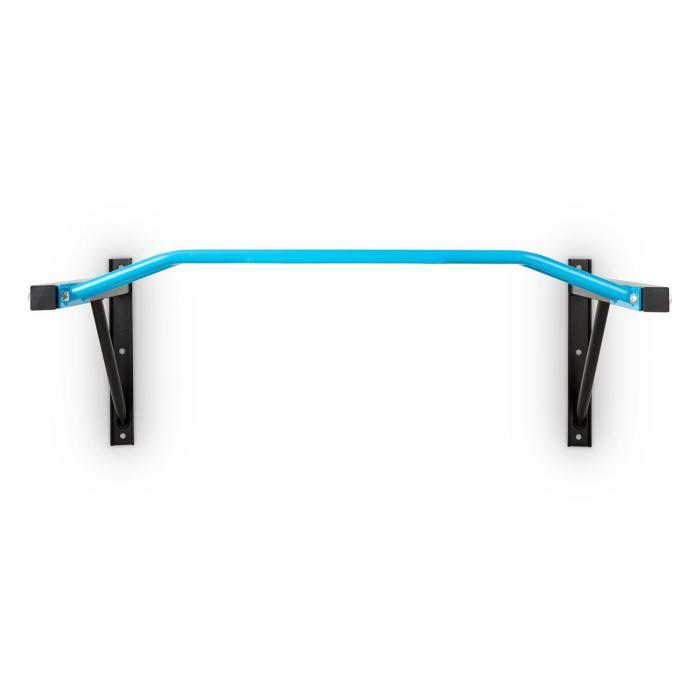 Whether you prefer the instep, comb or hammer grip, with wide shoulder or parallel arm position, the Master Grip Chin Up Bar is the ideal tool for all. For an especially wide, shoulder-width grip the ends of the horizontal rods are tapered down, so you can work on those muscles in a perfectly comfortable and safe way. The 120 cm double rod comes in a neat width that allows the novice and the well-trained professional to both find a comfortable grip. A ribbed covering has been extended over the entire length of the device so that the user will always find a good place to grip. The solid construction can take up to 350 kg load capacity, making it suitable even for well-trained professionals to further boost their latissimus. The Capital Sports Master Grip is designed for permanent wall installation and is thus best suited for training when the height is adjusted to your body size. 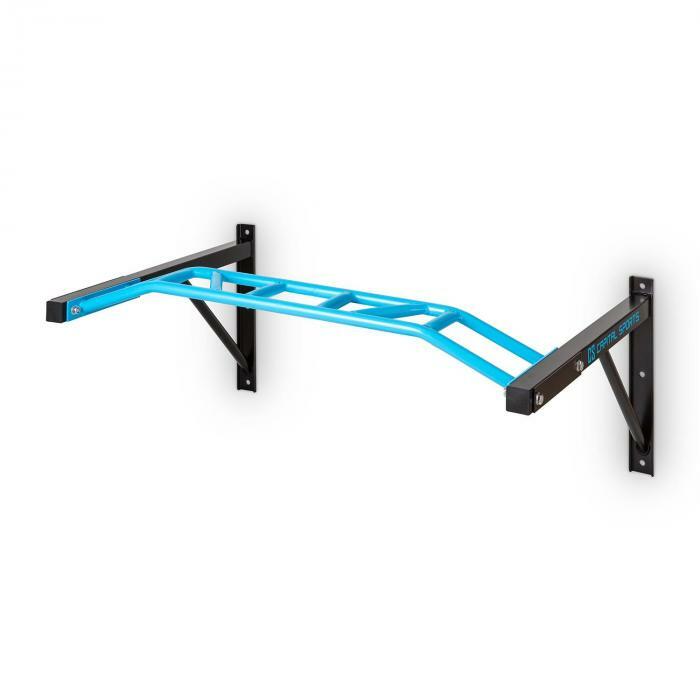 The black steel design with the blue pull-up bars offers a sporty and solid look that clearly states that real heavyweights can enjoy a workout, without fear of inflicting damage to the device. The device is very easy to assemble in just a few steps, and three large holes allow for secure mounting to solid walls. The Master Grip is supplied with appropriate safety fastening bolts.